Want to get creative with a paver choice but don't want to blow the budget? Our featured product of the month is the Expocrete Holland paver collection. 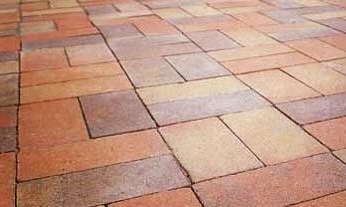 With an amazing 27 patterns, 2 textures and 8 colours to choose from this is an impressively versatile paver. With spring being around the corner it's time to think about freshening up the mulch in those garden beds with a fresh layer. This is a cost effective way to give you home wow factor to start the season off right. An excellent combination would be a charcoal holland paver patio accented with a shredded cedar mulch bed with plantings.